Today bike riding is becoming an increasingly popular sport. With this popularity comes a lot of information. As you progress in your journey as a bike rider, you begin to learn little shortcuts and tricks to improving your riding, saving money, or getting your bike fixed quickly. All these tips and tricks can ultimately add up to making you a better rider. The following is my top 10 bike hacks to save money, get you back on the bike, and make your ride a whole lot more fun! Some people store money, in case they may need an entry fee into an event, get stuck with no food, get thirsty on a ride, or need to buy a spare tube/tyre. In just about all cases, money is a handy thing to always have on you. Maybe consider wrapping a rubber band around it, or putting it in a zip-lock bag, to avoid any movement/losing it down the bar. 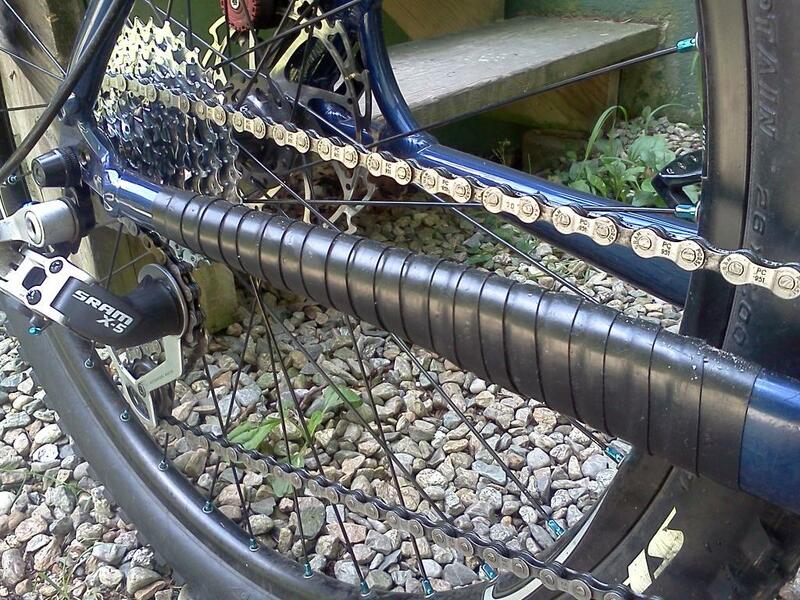 A Chain quick link is also another great use for the free space in the handlebar. By putting it in a zip-lock bag, it will sit securely in the handlebar, without falling in to far. If your chain snaps, you always have a “quick” way out! This seems like a funny one, but it isn’t a half-dumb idea to keep a paper note in your handle bar (or more commonly, seat tube – to avoid it getting wet). Take a piece of paper, and write on it your name, your address, your phone number, and any additional details. That way, if your bike gets stolen, you have some form of proof that it is your bike! Believe it or not, but this has gotten dozens of people their bikes back. When you need them, you can just pop off the end plug and have instant access to anything in there! If you have a hydration pack, you’ll know the taste I’m talking about, Sometimes your pack will develop a disgusting taste or smell. o=Other times it may just be the heat! Either way no-body likes the taste. Next time you fill up your hydration pack, try squeezing a quarter of a lemon into the pack of water with a few ice cubes. You’ll be surprised at how much better the water tastes. Also, the lemon will do the water pack good, as it acts as an acid to the bacteria in the pack. You’ll be left with a cleaner, and fresh smelling water supply! Just make sure you rinse and wipe out the inside of the pack after you ride. Pro Tip: Keep your pack in the freezer when you’re not using it, as the freezer is an environment where bacteria cannot possibly grow! It will keep your hydration bag nice and clean! The chain-stay is the part of the frame which runs along-side the chain. As a result, this part is known for getting scratched up, due to chain bounce. You can buy a chain-stay protector for around $10-$20 Australian dollars. But why not make use of an old inner tube? Simply remove any air from an old bike tube, and use scissors to cut longways along the seam of the tube to open a flat rubber surface. Once you get to the valve, simply cut crossways to remove it. Now, simply wrap it around the chain-stay diagonally, keeping firm tension on the tube. Starting at the back of the bike, and working your way towards the front. Once you reach the front chain-ring, cut it square just shy of the largest cog. Then, simply use a zip-tie or some electrical tape to secure the end to the frame. Wallah! Your chain-stay is protected! Click here for a tutorial video on this hack. An essential to every bike rider is the quick link! 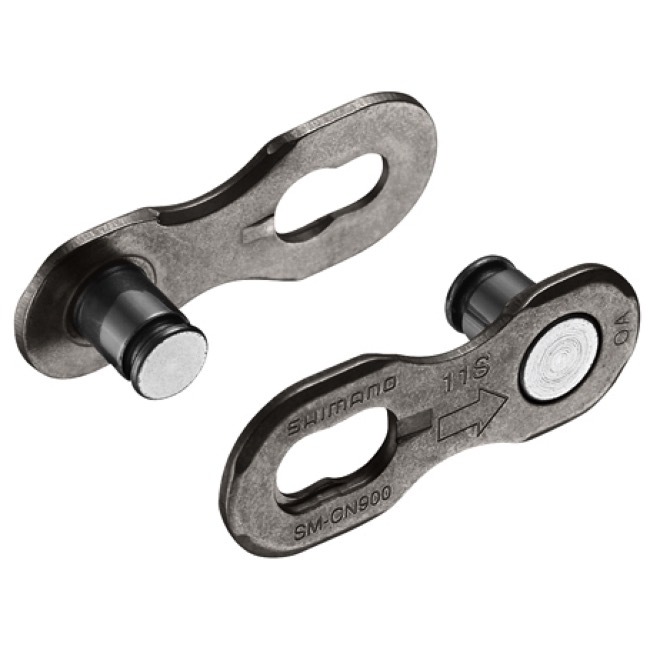 For generally under $8-$10 AU, you can purchase a 2 piece joiner link, which can get you out of just about any broken chain situation. Simply, install the quick-link onto the 2 ends of the broken chain. Occasionally you may need a chain breaker tool to remove any chain links which may have not fallen off, but more or less, you can generally pull off the old broken chain links by hand. Just make sure you buy the right size link. To check, count the number of chain-rings (gears) you have on the back, and buy accordingly. A lot of the time, suspension forks will build up quiet a lot of air within the fork lowers, and can cause the forks to not feel quiet as reactive to small rocks and bumps. One of the best hacks I’ve learned is to release the air that builds up with a cable tie (zip tie). Begin by taking a cloth or rag, and wipe the seals until they are completely clean. IT IS ESSENTIAL THAT THE SEALS ARE CLEAN! Now, take the rounded end of the zip tie, and softly try to squeeze it into the seal where the fork uppers meet the fork lowers. Once the tip is in, press it until you hear a release of gas/air. Don’t force the zip tie in any further than that. BOOM! Your forks are released! One of the less known hacks on the list, but a very useful one! Just about all road bikes use bar tape. Some riders will even wrap a second layer around the first, to add more cushioning and comfort. However, there is a cheaper alternative. Take an old inner tube (works better with a thinner road tube) and cut out the section with the valve. Now, begin wrapping it, as you would standard bar tape. This not only is just about free, but also just as comfortable, and offers even better grip! Tyres aren’t cheap. So when you have a pair, you want to get the most out of them. Most commonly, riders of all sorts will realize that the rear tyre tends to wear (in some cases) twice as fast. Once you see the rear is starting to wear down, swap the rear and the front. by doing this, you should (in theory) get twice the life out of them. Also, regularly check the tyres for small thorn ends, bits of glass, etc. that may be sitting in the tyre. If possible, try and remove these as often as you see them, as they can work their way further and further in to the tyre, and cause premature wear. If you’re like me, then you like a nice light bike. While this isn’t necessarily one of the ‘hacks’ on the list, it provides some un-thought of ideas to save weight on your bike! On a bolt-on rotor, there are 6 bolts to each rotor. Many pro mechanics remove 2-3 bolts from each rotor. While this doesn’t save much weight, it makes it easier to remove, install, and work on the rotors. As well as saving a few grams, it is just one of many steps that may take off that little extra weight. This is one for the mountain bikers (or flat bar roadies). Like the seat tube, consider the length of your handlebars. Are they longer than they need to be? Generally for mountain biking, 740-750 is plenty. As the riding style progresses to more aggressive, the wider the bars, the better control and confidence. So don’t go cutting too soon! Another measly little weight saver… stem caps. Do they really do anything? Yes, they can look pretty, but over all they really only give one more step to pumping up your tyres. Unless your running tubeless (as these stems are a bit annoying to replace), you don’t need them! Save yourself the time and weight, and ditch the caps! Yet another small saver, but all these add up. Clip your cables shorter at the ends. You only need an inch of over hang with cables. Any more, and its only more dead weight to carry around. Remember, a gram saved… is a gram saved! Yes, carbon has made its first appearance! Carbon is a stiff, bump absorbing, light weight, strong material, which in most cases is ideal! On the road, jumping off rocks, jumping onto rocks, carbon is a great weight saver. Components such as handlebars, stems, seats, seat posts, wheel-sets, and stacks more, can be replaced with carbon components as massive weight savers. However, they do take a beating to the bank. When purchasing carbon, avoid cheap Chinese carbon. Some of the cheaper carbon has been known to snap from time to time. Brands such as FSA, Race Face, Enve, Renthal, Truvativ, and stacks more, make extremely stiff and high quality carbon components! The saying “a clean bike is a happy bike”, could not be more spot on. Washing it regularly means your bike should be faster, smoother, quieter, and will last you a thousand times longer. Click here for a complete guide on safely and thoroughly cleaning your bike. By maintaining a clean bike, components have a longer life span, and are less prone to premature wear and unwanted noise. In almost all cases, if you can keep your frame light and clean throughout a race, it should perform smoother and overall better. One pro riders tip is to stuff foam into any dips/holes in the frame. Stuffing foam under the rear shock, up the steerer tube, under the seat, or any other places where mud might get, will prevent mud sticking to the frame. Mud on the frame results in added weight, and can, in some cases, cause failure of components. Placing soft foam in these places is an almost weightless alternative to a dirty and heavy bike. Perhaps one of the most used hacks at UCI! And there we have it! 10 bike hacks to keep your bike running smooth, get you out of trouble, or to improve your riding quality. Have some more hacks we missed? Feel free to write to us your favourite hacks for a future ‘top 10 list’! For more great articles such as “Top 10 downhill bikes of 2018“, or “Best downhill trails in Adelaide“, click the links! See you on the trails!